The problem of polluted marine and oceanic waters has been known for some time now, but its destructive effects are still not fully understood. However, we know that plastic rubbish has a major impact on the fauna and flora of the oceans and, in the long term, on the lives of each of us. The European Space Agency wants to use satellite technology to detect plastic debris, to find out where it is most concentrated and to understand the scale of the problem. 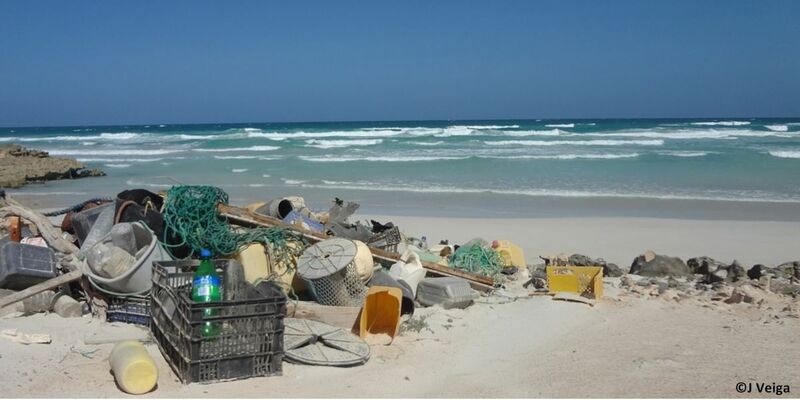 To date, no direct methods have been used to detect ocean rubbish. Satellite imaging only allowed us to follow the ocean tides, thanks to which it was possible to simulate the migration of rubbish and estimate the places of its formation, called the "garbage patches". Every year, humanity throws an average of 10 million tonnes of plastic into the ocean. For the average person, only those that are thrown on the shore are most visible. But the problem is much more serious, and rubbish can be found in the open sea and even in the polar ice. Ocean waves break down plastic rubbish into small and microelements, and they even end up in the food chain of both marine animals and, as a result, our own. This is not only dangerous for animals, but also has an impact on the health of each of us and, in the long term, on the state of society as a whole. The problem is very serious. A new analysis published in the Scientific Report reveals that the Great Pacific Garbage Patch is up to 16 times larger than previously thought. Recent data show that it contains 87,000 tonnes of rubbish, which consists of approximately 1.8 billion pieces of plastic. This largest stain of oceanic rubbish has a surface area of 1.6 million square kilometres, more than three times that of France. The two research teams involved in the ESA Basic Research Programme started their activities already in September 2017. Argans Limited and Plymouth Marine Laboratory are currently analysing whether direct optical observations from satellites are sufficient to measure plastic debris. Of course, this is not about detecting every plastic bottle because the resolution of the images taken by the satellites does not allow this, but about detecting and studying rubbish patches. Infrared observations are a source of hope, as plastic has a specific "infrared fingerprint". This allows the plastic to be identified with infrared only among other materials. This effect is sometimes used during recycling, where it is separated from other wastes. Data from satellite images are compared with accurate aerial photographs from areas where floating debris has been sampled. The research will result in a set of requirements to be met in the future by a satellite for ocean rubbish observation, detection and testing. It will also be clear whether such research is feasible now without the need to develop dedicated technology. The final goal of the project is to be an accurate map of ocean water pollution. So far, scientists have had to have had enough simulations, but real measurements would have had a better understanding of the problem and perhaps found a solution to it more quickly. According to Paolo Corradi, the project manager, waste monitoring is not an end in itself. It is important for the agency to make people aware of the destructive impact of throwing millions of tonnes of plastic into the water and to show the extent of the problem. and we will provide you high quality content.